I’m really enjoying making gifs at the moment. 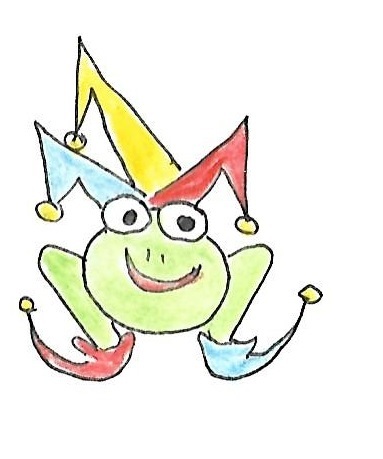 Today I’ve been messing around with Giphy and my little frog jester that I drew for #NetNarr. First I scanned my drawing to my PC and cropped it, then I used a combination of PPT and Paint to screen grab the image into three different places on screen. Then I used Giphy.com to make a slideshow and played around with the decoration options to add text and choose the backgrounds. Here’s a couple of results. This entry was posted in DS106, NetNarr, Photos and tagged #netnarr, gif, giphy. Bookmark the permalink. I always appreciate “show your work” moments. I keep forgetting giphy has stickers now.